Quite often in life, I get so focused on where I’m going that I forget to enjoy the beauty along the way. I become so absorbed with finishing everything on my to-do list that I miss the special moments that occur along the way. Earlier this week I had to make a trip to our cottage for a small task that needed to be done. I awoke thinking of all the things I needed do as I’m preparing for my Holiday Home Show and had a ton of tasks on my to-do list. I wasn’t looking forward to taking 1 1/2 hours out of my already busy day to drive the whole way there and back for an errand that would take only 5 minutes to accomplish. That morning as I took my dog out for his morning ‘constitutional’ I was greeted with the sight of a gorgeous morning sky. As I stood looking at it I was reminded that even when life is harried that there are gifts of beauty along the way that are easily overlooked. As I drove up the mountain to the cottage I began to notice just how beautiful the scenery was along way. It’s late-Autumn here in central PA and the leaves are turning amazing colors. Both sides of the road are lined with trees and it seemed as though each time I drove around a curve in the road the colors were more amazing than the the last. One section is lined by pine trees. Even though the bright colors of the deciduous trees are extremely beautiful, the line of green pines has it’s own charm. 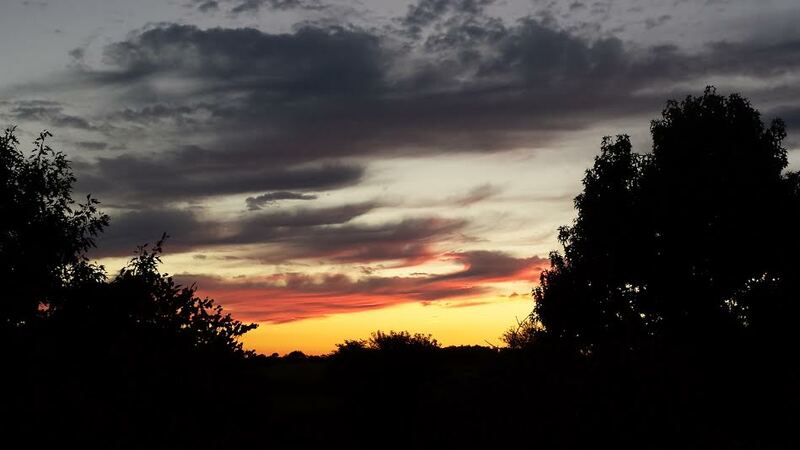 As I turned onto a gravel road the scenery changed, but still had a special kind of beauty. Entering the driveway I felt a sense of peace (as I often do). This time of year when it’s completely covered by pine needles and leaves even the car was quiet. I couldn’t help but smile as I imagined the sound effect you hear in movies when something has a bright light shining on it – like an angelic chorus. (Click here to hear the sound I heard in my head) I know that may sound a bit dramatic and a little silly, but in a real way, this little place has been a heavenly gift to me. It’s where I can slow down enough to focus on the truly important things in life and be able to appreciate all of the beauty that is around me. On this day, even though I wasn’t able to spend much time there, I did take time to notice the beauty on drive. I wish I could always have the mind-set to be more aware of special moments along this journey called ‘life’. I hate to think that I am missing any heavenly gifts along the way. I can’t remember if I finished everything on my list that day, but I do remember feeling grateful for all the beauty around me. Lately I’ve been learning how to enjoy things in nature that I have taken for granted most of my life. Believe it or not, I’m now a bird-watcher. The one I enjoy the most flies through the air at incredibly fast speeds and only weighs as much as a dime. They are a gorgeous shade of green with a brilliant red neck. Yep, I’ve learned to enjoy watching hummingbirds, specifically Ruby Throated Hummingbirds. 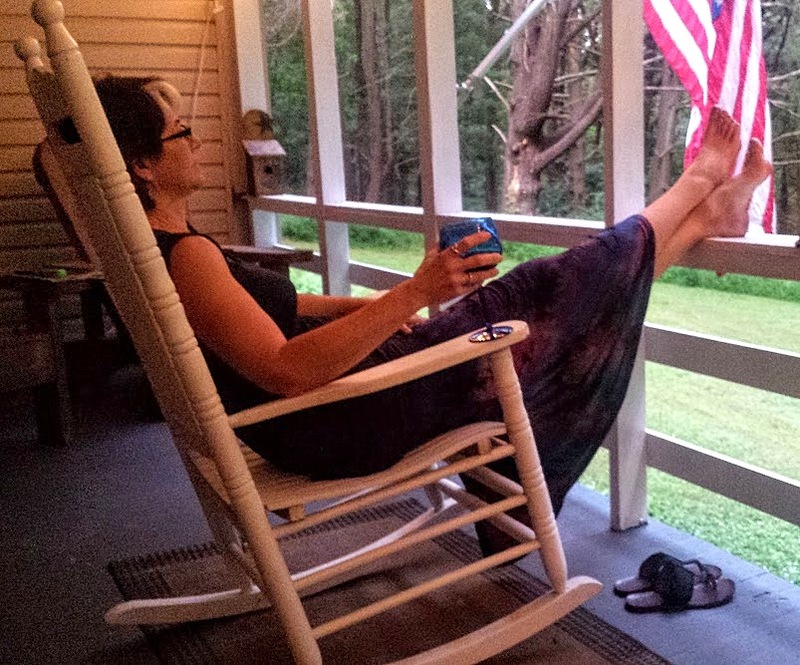 It’s so exciting to be sitting quietly on the porch and suddenly hear that familiar hum. A hummingbird seems to appear out of nowhere and is sipping nectar from one of the feeders. It is fascinating to watch them continually dip their slender beak into the feeder and then quickly dart to another feeder. At times it can be like watching an action-packed movie. Hummingbirds can be quite territorial about their feeders and they often turn into miniature fighter jets as they dive-bomb each other and chase each other through the trees. The colors on the Ruby-Throated Hummingbird are truly breath-taking. The back of the male is a bright, iridescent green and when he turns his head certain ways his neck almost lights up with the brightest red you can imagine. The females are also a pretty green, but as with most other birds, the male steals the show as far as looks. We recently put 2 feeders up right on the porch railing so roughly 3-4 feet in front of us. I LOVE when they come and feed right in front of me. To watch their little wings beating and see them dipping into the flowers at such close range is a thrill. I’m hoping to work up to the point where they eat out of a feeder in my hand. I know I sound like an old lady, but trust me, you should take time to appreciate the beauty of this tiny bird. There is so much joy and beauty in the world that you can enjoy if you just take the time to notice it. I’m totally content with the status of ‘old-lady’ if it means I can appreciate more and more things in my life no matter how small. I can’t even begin to count the times I’ve said I would NEVER do something only to wind up doing exactly what I said I’d “never” do. I said I’d never live in a white house–I now live in a house with white siding. I said I’d never ride a bike–I now LOVE riding bicycle. I said I’d never like eating wings because it was ‘barbaric’. Well, I now thoroughly enjoy sitting down to a heaping plateful of messy wings and tearing into them like a ravenous dog. One thing I said I’d never do was to have any kind of vacation place. My husband had been talking about it for years and I’ve always said that was something I’d never do. 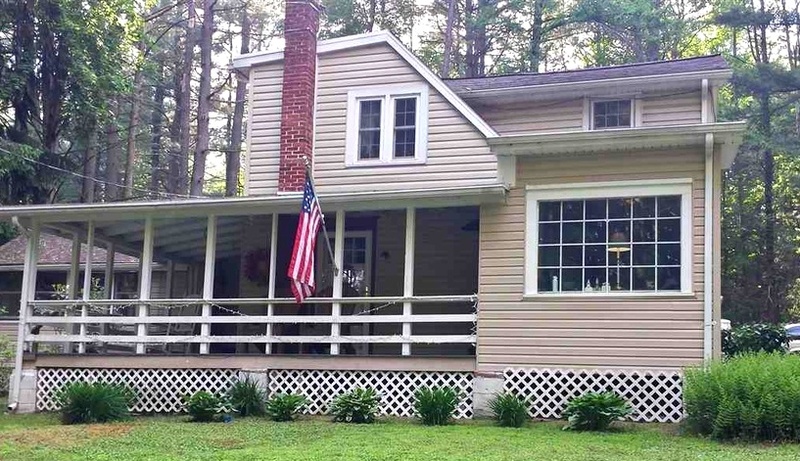 Well………yep, you guessed it, we now own a cottage in a nearby state forest. As my husband kept showing me picture after picture of cabins, cottages and homes in the woods I continued to adamantly tell him that it wasn’t something I wanted. Then, one evening he showed me a picture of a cottage that had recently been listed. To call it ‘love at first sight’ might be an overstatement, but for some reason my attitude changed and I could immediately see our family spending time at this little cottage in the woods. Knowing how much our kids loved camping in this area when they were young, I knew they would want to spend time at this little place. We went to see it with family members and it was unanimous—everyone loved it. We became happy owners of a little cottage in the woods. Even though I loved the place and expected to enjoy it, I had no idea how much I was going to NEED it. Just the time we began to spend time there things began to happen within our family. My daughter delivered our granddaughter 4 weeks early after an extremely difficult pregnancy. My father, who had been ill, passed away suddenly. Other things happened within the family that brought sorrow. 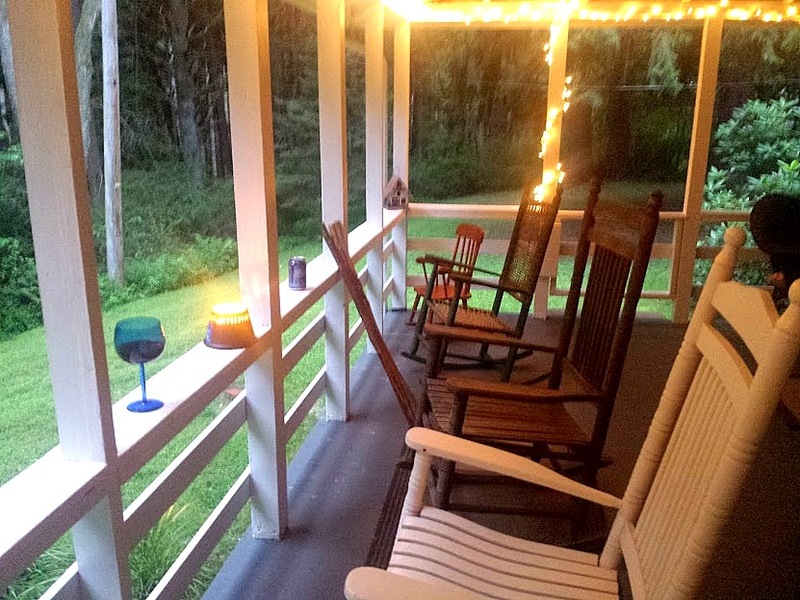 This cottage has been something our entire family needed. 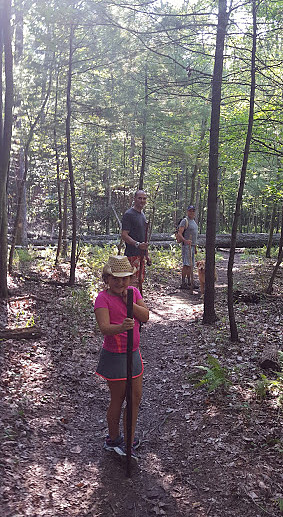 We have had several wonderful weekends at the cottage with the kids/grandkids enjoying many things as a family. 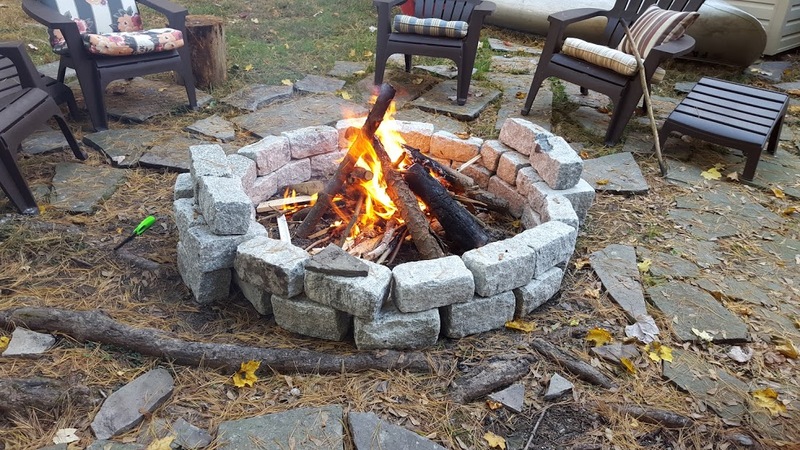 Nothing beats sitting around a campfire. When I first looked at the pictures of the cottage, I knew it would be a fun place for our family, but I had no idea how healing it would be. Even though I didn’t know all those things were about to happen-God did. He gave me something I needed before the need was even there. I can’t help but wonder how often God does this and we don’t even realize it. I hope I can become more and more aware of all the ways I’m cared for by my loving God. I encourage you to never say ‘never’. You might be saying no to a special gift that God wants to give to you. It might be something you never wanted, but turn out being exactly what you need. Music has always had a profound effect on me. Certain songs make me want to get up and dance, white other songs are sure to bring me to tears. 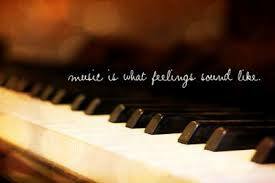 Music seems to have the ability to reach inside of me and stir my deepest emotions. Depending on what I’m listening to it can be invigorating or calming, healing or even sometimes painful. 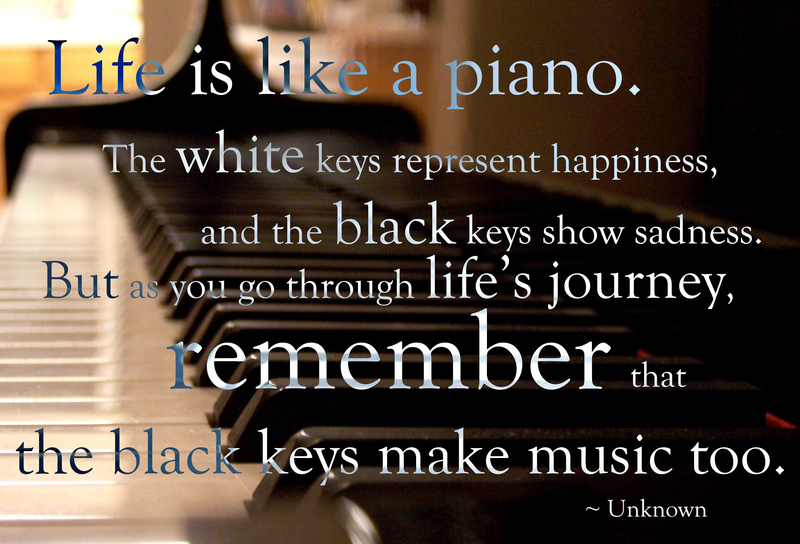 I’ve often said that music is the “key to my soul”. 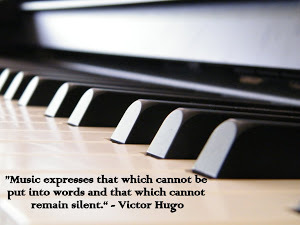 In the past few years piano music is the one type of music that can touch me in especially profound ways. 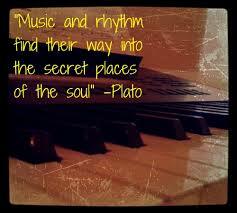 At times when I have found myself in a low place it has been the only kind of music that I could ‘feel’ in my soul. It has allowed me to tap into emotions that I had pushed down and tried to ignore. The music has given me an avenue to work through some of those feelings. It has provided a real sense of peace and of healing at times I needed it the most. One song in particular can move me like no other—Crisofori’s Dream by David Lanz. The minute that song begins to play my heart comes alive. That song takes me through a myriad of emotions. It begins with a very sad feeling, but there are moments of joy as well. There are several ups and downs during the course of the song and my heart soars and falls along with those changes. One section always makes me feel optimistic and give me a sense that things will be ‘ok’. For me the song always ends with a feeling of peace. The last part of the song is the sad melody, but it somehow gives me a sense of acceptance and contentment. I’ve listened to that song countless times, but I am now able to feel it in a new way – playing it myself. I played piano when I was younger, but had given away my piano some years ago. I recently made the decision to play again and bought a beautiful piano. Of course, the first song I learned to play was Cristofori’s Dream. The minute I began to play the opening notes I felt such a sense of ………. I don’t even know what word to use…contentment, peace, passion, healing, excitement, joy and even grief. 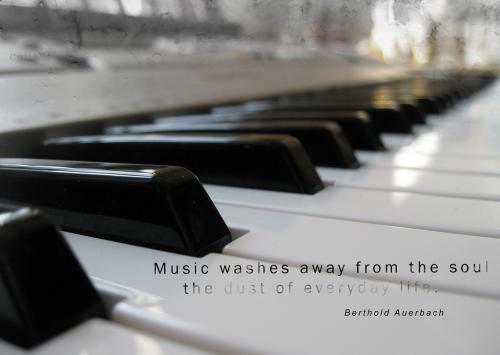 I knew that I would be spending a great deal of time at my piano. 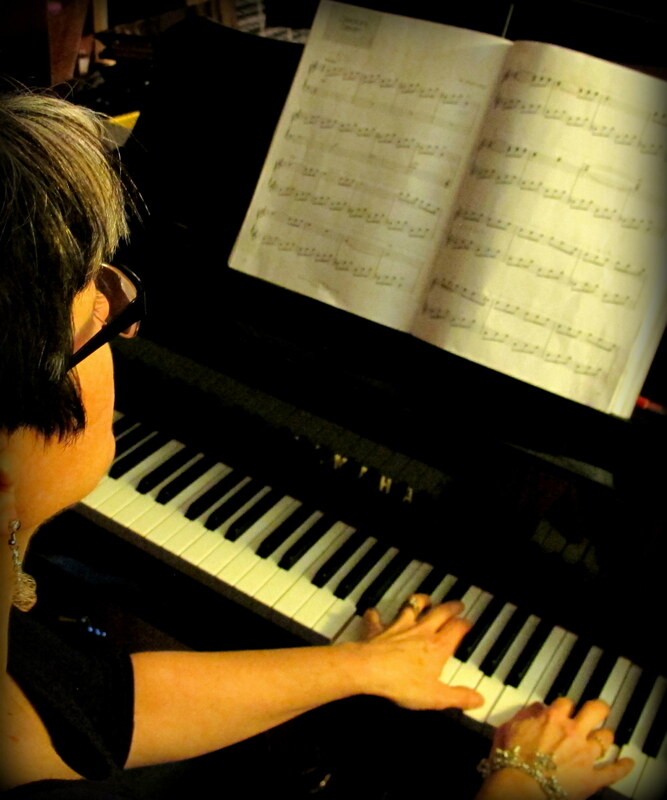 As I worked on learning the entire song I didn’t really feel the usual emotions due to concentrating so hard on getting notes and inflections right, but as I conquered more and more of the music, I began to experience it in an emotional way. One evening I was playing and at one section I found myself beginning to weep. Now as I play it, I am able to enjoy it and ‘feel’ the music. I’ve since learned several more beautiful and moving songs, but this one will always have a special place in my heart. When I just want to sit down and ‘feel’ the music this will most likely be the song I play. 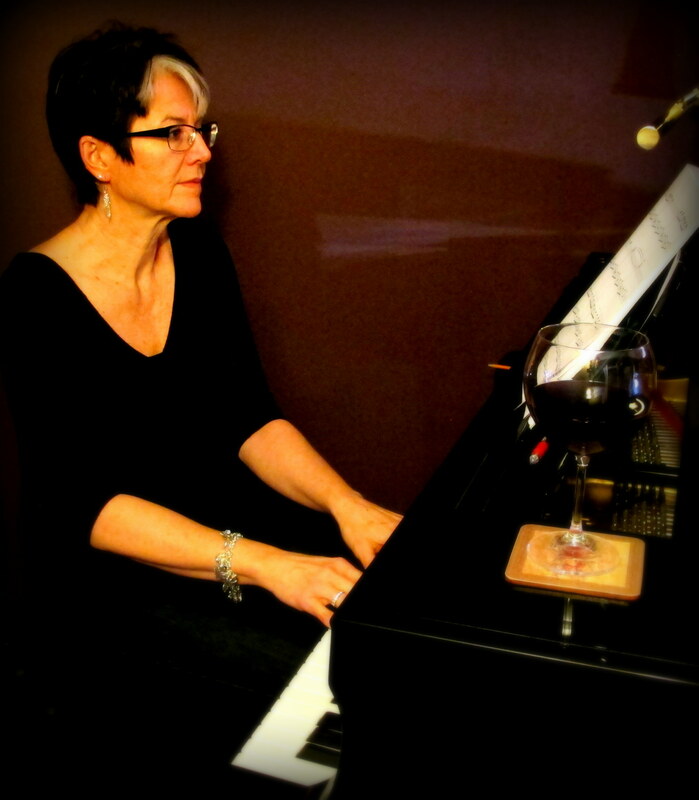 An evening at my piano with a glass of wine…….wonderful! ***I was listening to Pandora as I wrote this and just as I was typing the last sentence, guess what song began to play………and yes, it still brings me to tears. I’m sure we have all had phone calls that changed our lives. 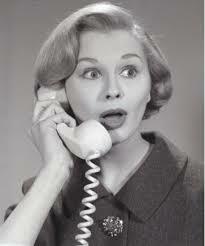 Some calls impact our life for a day or so and cause only a minor change of plans. Others may affect us for weeks or months and then there some that may have an impact on us for the rest of our life. I received a call this past summer that would impact my life for several months. It was a Sunday morning and I was ready to walk out the door for church when the phone rang. 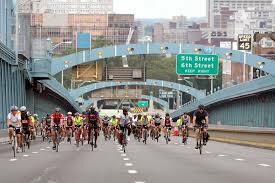 My husband was bicycling in a charity ride from Philadelphia to Atlantic City – Tour de Shore. I did this ride last year, but chose not to do it this year because the roads were very rough. The caller identified herself as a woman who was riding in the group with my husband and she informed me that he had taken a bad fall which resulted in a fractured collarbone. Immediately after ending the call I begin to think all of the ways our lives were about to change. My plans for the day changed right way. My first task was to figure out how to get to him home. 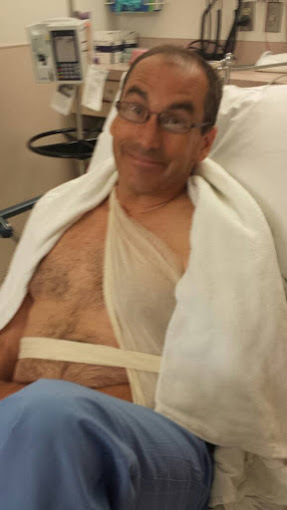 After taking the train to Philadelphia, getting a cab to the hotel where his car was still in the parking garage and then driving to the hospital in New Jersey I found my husband not just with a shattered collarbone, but also six broken ribs. (OUCH!!!) I then had to drive him the 2+ hours back home while trying not to hit bumps or do anything that would cause him pain. (Thankfully he had taken 2 Percocet.) For a “country girl” much of this was out of my comfort zone. Life the first week was consumed with caring for him both before and after the surgery to repair his clavicle. It was broken so badly that it required a plate, screws and a bone graft. The surgery did help with some of the pain in his shoulder, but the ribs were excruciating any time he moved. 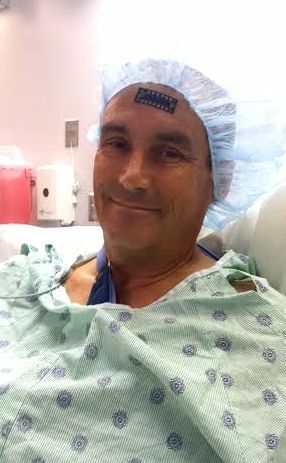 Pain medication was his best friend for several weeks, but slowly, the pain level began to subside. Each time he would accomplish a task that had been impossible before, it was cause for celebration…..i.e. getting out of bed by himself, putting on a shirt that didn’t button down, driving, etc… Eventually life began to return to a somewhat normal routine. That phone call definitely caused upheaval in our lives, but we were very aware that it could have been worse. Luckily, we were able to be grateful for the things we could still enjoy had rather than focusing on those we couldn’t. 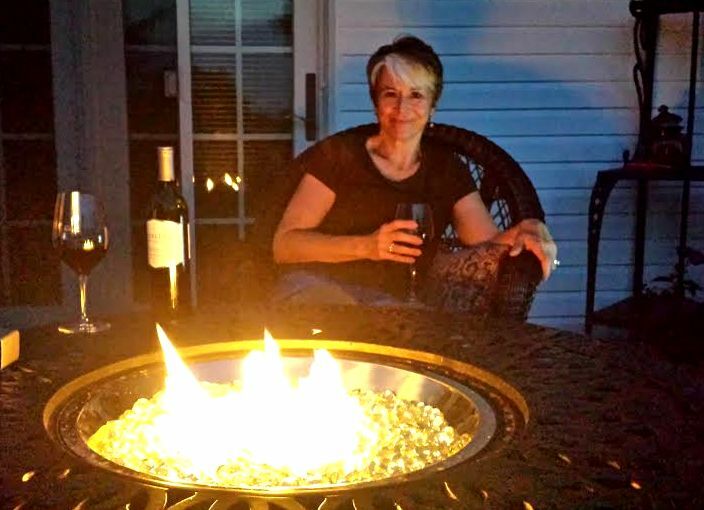 I found myself hoping he would be back on a bike at some point, but I was thankful that he was able to spend evenings with me listening to music, sipping wine by the fire pit and watching the sun set. We both developed a deeper appreciation for the simple pleasures that we are able to enjoy together. Since then he has continued to heal and even went for a short ride with me a few weeks ago. He now has full range of motion in his shoulder and other than a scar, he is back to normal. Yes, those kinds of phone calls can change our lives in small or large ways, but life goes on and it is how we handle those changes that determines what kind of life we will have. 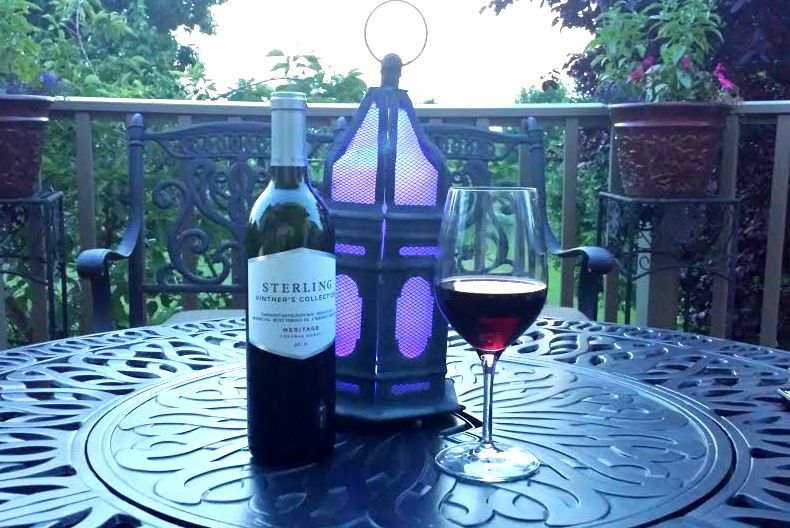 Wine by the fire………something to appreciate.